Sister Jean Alice Bell Taylor was born January 3, 1953 to the late Mr. N. J. Bells Sr. and Mrs. Jessie Lee Bell. She was the last of seven children. She confessed Christ at an early age at Mt. Olive Baptist Church and later joined Harrison Street Christian Church under the leadership of Elder Timothy O’Neal. Jean was married to Mr. Ira Joe Taylor. She departed this life to be with the Lord on March 19, 2019. 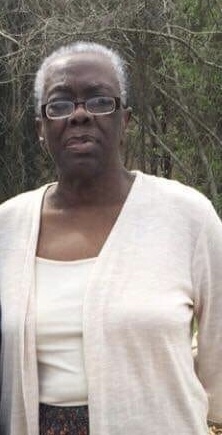 She leaves to cherish her memories her loving and devoted children: Reginald (Faith Holloman) Taylor, Mrs. Vanessa Taylor (Isiah) Dunklin, Alicia Taylor, A’Kyah Taylor, Jermiah Johnson, Jacoya Crenshaw, Derick (Loucinda Womack) Taylor all of Greenville, Al; one aunt whom she loved and cherished Mrs. Bertha Willis of Birmingham, AL; a host of grandchildren, great grandchildren, nieces, nephews, other relatives and friends. 5 devoted friends: David McCall, Barbara Thicklin, Loutelia Davidson, Gianna Yeldell and Jerry Dean Crenshaw.